A Gaultier show is always an extravaganza. A Gaultier Couture show is a sight to be seen. Spring 2013 was no exception. With cultural influences from India, a sprinkling of gypsy and a whole lotta’ vibrancy, the collection was a spectacle worth it’s weight in gold (enamel). The enchantment was evident from beginning to end, when, the finale was unexpected with four adooooorable young girls underneath the model’s billowing skirt. No doubt, the front row fash-pack’s hearts were melted with the uplifting gesture! Couture is not about what the masses want to buy, it is about what the masses want to dream about and the select few want to buy. And no doubt there will always be a market for a multi-coloured floor-length, beaded silk ballgown with purple cape. Yup. There was so so sooooo much to look at and take in with the collection that it is difficult to have a favourite… Or even top 5. Or 10. Forgive me, Gaultier is the ultimate queen of glam. Check out (some) photos from the show below… go to www.style.com to see the rest, you would be missing out if you didn’t. 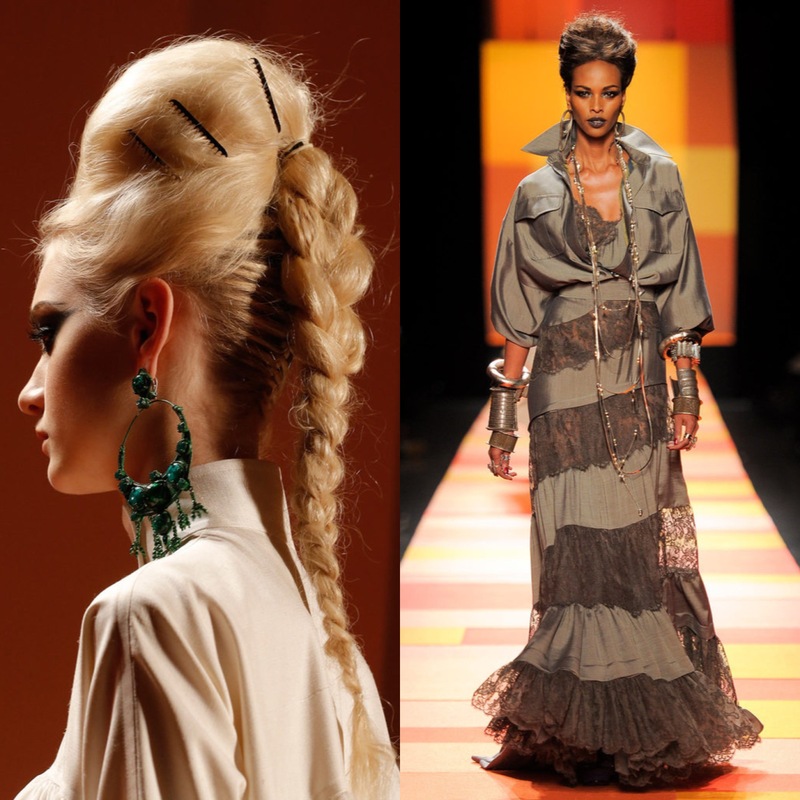 This entry was tagged couture, fashion, Fashion week, gaultier, India, jean, Paris, paul, style. Bookmark the permalink.